My family loves to listen to music. I have a daughter who is a performer and two sons who can’t get enough of Wierd Al. Yeah, I said it. We wake up and ask Alexa to turn on our favorite tunes. They truly get us through the day! I grew up in a musical house. My father was a musician – he played every instrument known to man. I guess you can say that it’s in our blood! So, when I found out that the Sonos One already has Amazon Alexa built in, I knew it would be the perfect addition for our clan. But we didn’t stop there! We also decided to add the Sonos Beam Soundbar to the mix to truly complete the package. With Sonos One, you can use your voice to play and control your favorite music and more. All you have to do is just ask. What are you looking for? Up to date news? The ability to turn off your lights? How about hear how your favorite stocks are doing? Yes! Yes! And yes! Basically, you are able to do all the things Amazon Alexa does – just through your Sonos One. You can even use your Sonos One speaker to play and manage music on any other Sonos speaker in your home. That is so great for when you have those huge house parties during the holidays. Guests roam from room to room but will never be too far away from the tunes. Love it! With AirPlay, you can stream directly from your Apple devices or ask Siri to play your favorites from Apple Music throughout your home. The kids love to continuously change the music that we are listening too. In fact, I think it’s one of their favorite things to do. Each rushing over to try to get the next song on first. It’s sort of like tag and Alexa is always NOT IT. Our Sonos Beam Soundbar was such a lovely addition to our home. As an avid movie goer, it actually turned our living room into a theatre. I never realized how important sound was until we brought the Sonos Beam into our den. As soon as it was installed and we turned it on, everything changed. I recognized that we had been doing a disservice to our favorite films all these years. Nothing beats that high-quality boom that you get when you immerse yourself into a show or a movie thanks to powerful speakers. And the Beam is just that. The funny thing is… it doesn’t take up any room. Not like the 80s when we had 9 huge speakers in every corner of our house in order to get the same feel. Not to mention all the wires and the time it took to get everything set up! Who else remembers that??? I certainly do! My husband and I put the Sonos Beam right on our TV stand, plugged it in, connected it to our Wifi and then sat down to enjoy our first movie. It was that easy. 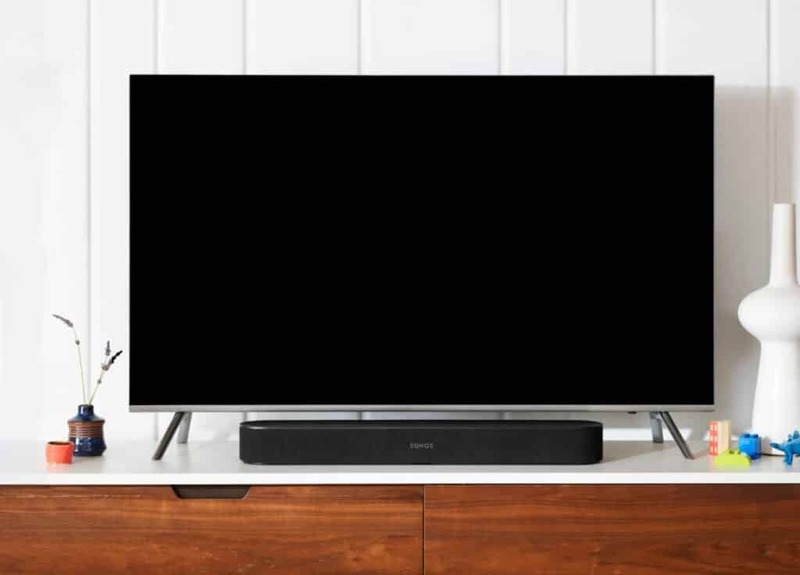 Sonos Beam is the smart, compact soundbar for your TV. 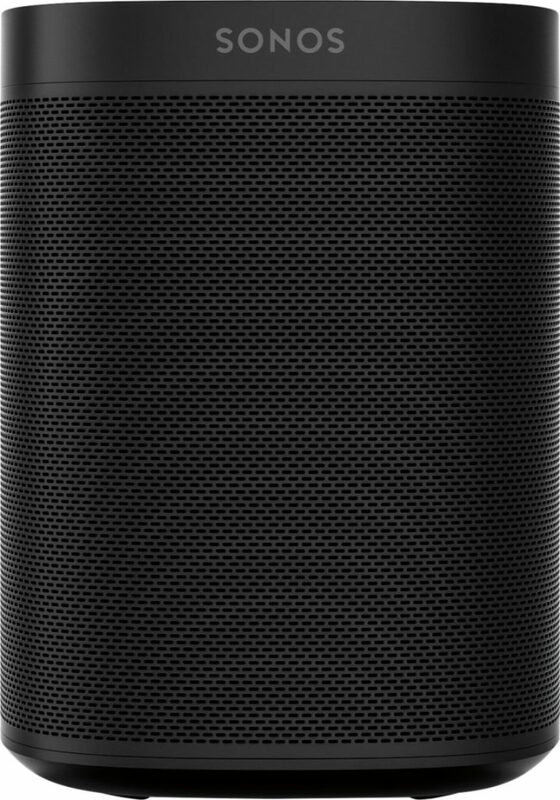 Beam is Amazon Alexa enabled so you and everyone in the family can control the sound simply by using your voice. You can also get news, play game and enjoy any of Alexa’s other skills. Thoughtfully designed to blend into your home, Beam is compact and versatile – place it on your furniture or hang it with a wall mount. Do you have the Sonos Beam Soundbar or the Sonos One? Would love to hear your thoughts! For more information be sure to visit Best Buy today.